Wake up to enjoy the ultimate private spa and breakfast retreat, surrounded by verdant rice fields and tropical landscaping. 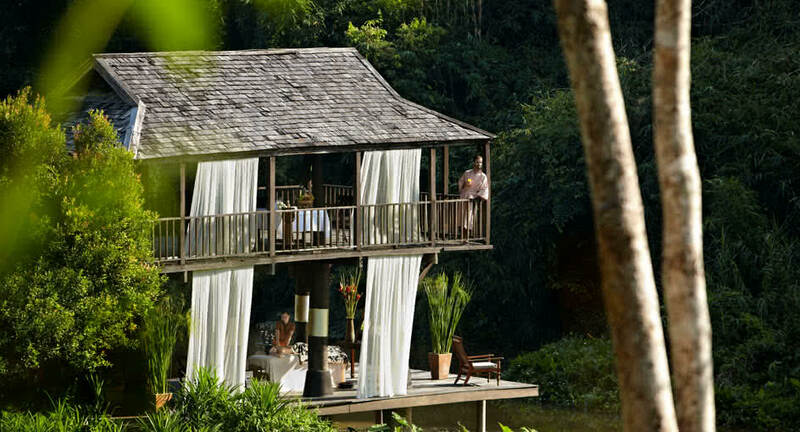 This breathtaking experience begins with a 90-minute Signature Massage outdoors, surrounded by verdant rice fields and tropical landscaping, followed by an organic breakfast prepared by your personal chef. Soak up the sights and sounds of nature, with elephants trumpeting in the distance to welcome in the new day. Kindly note that as this venue is very popular, we accept only one booking per day and advance reservation is highly recommended.